Spotify could soon let free users skip ads | What Hi-Fi? The feature, called ‘Active Media’, is currently being rolled out in Australia. Spotify is currently testing a new feature (which it is calling ‘Active Media’) in Australia that lets users of its free, ad-supported tier skip audio and video ads whenever, and as often as, they like. Currently free-tier users (outside Australia) are subject to advert breaks after every 30 minutes of listening. The idea is that users will only watch adverts they like, allowing Spotify to track listener’s preferences and better target advertising while offering a more personalised experience for its users. Advertisers will only pay the service for adverts that have been viewed or listened in their entirety. As reported by Ad Age, Spotify’s global head of partner solutions Danielle Lee says the move is comparable to the service’s ‘Discover Weekly’ playlist, which includes songs based on users’ listening habits. "Our hypothesis is: if we can use this to fuel our streaming intelligence, and deliver a more personalised experience and a more engaged audience to our advertisers, it will improve the outcomes we can deliver for brands,” she said. The feature is Spotfy’s latest move to improve free listening following its redesigned mobile experience. 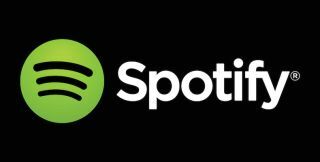 With it being tested in Australia, we can only presume that, if successful, it will eventually become part and parcel of Spotify’s global free user offering.